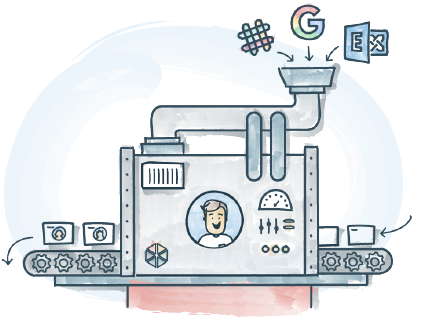 By importing your Slack, Gmail or Exchange conversation history, Zugata’s algorithms leverage the information and more to understand who you work with, so you are always receiving feedback from the most relevant sources. 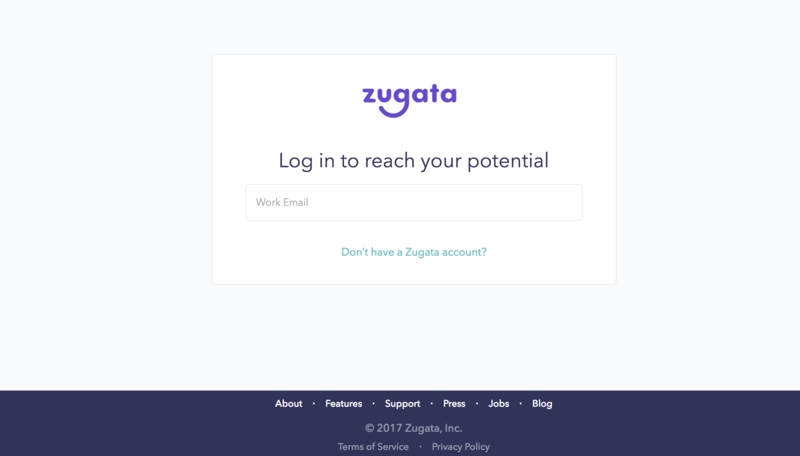 If your company is using any of these apps, and has enabled this feature for you to use in Zugata, go ahead and follow these steps to help us find your network. 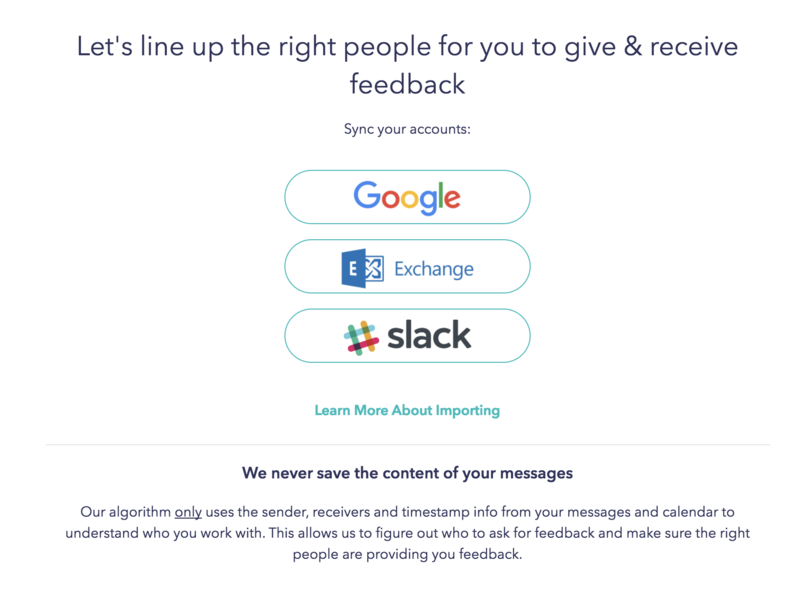 This isn't perfect, and it does evolve over time, but if you consistently import and are actively giving feedback within our system, it increases its accuracy. 1 . Sign In with your work email. 2 . Once you are signed in, click on the ▾ next to your your name/email address in the right side navigation and click on Profile. 3 . Scroll down to the People I Work With Most, then click Build My Network. 4. Select to connect with the app of your choice. 5. Follow the steps from there and you'll begin the import, it takes some time to import. Let the magic begin. Every week, you will be selected to give feedback to someone you work closely with!